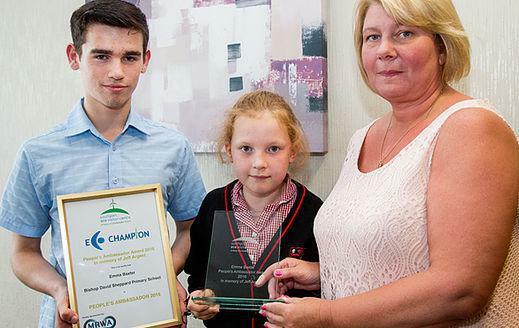 The People’s Ambassador Award was presented to Emma Baxter, Year 5, at the Eco Schools Awards ceremony which took place on 12th July at The Ramada Plaza. Emma was nominated for this special award, as she goes that extra mile to be a friend and inspiration to others. When they announced that Emma had won this very important award we were all delighted! Well done Emma, We are all very proud of you!